As hikers lived by the shoe’s durability, everyone else loved it for its gritty, edgy look. Dressing some of the world’s fashion tastemakers to this day, the yellow boots have surpassed their winter roots to remain on trend. 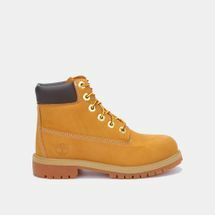 Browse a selection of our range of Timberland shoes and apparel today. 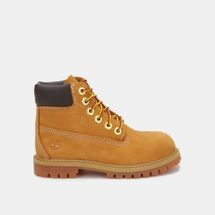 Timberland began with a shoemaker’s ambition to put his craftsmanship into creating the best boots and shoes for hard-hat workers plodding through coalmines and construction sites. He found his niche making work shoes and safety boots at the Abington Shoe Company. While learning the ropes of a company he just bought into, the ingenious shoemaker brought to the table an idea that replaced traditional shoe stitching ways for good. Dispensing that ingenuity through their first collection of yellow boots, and naming them Timberland shoes, the heavy-duty number got the ball rolling for a shift of power and a company takeover in 1973. 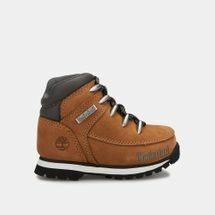 While changing the lives of blue-collars, Timberland safety shoes were picking up nature lovers with their sturdy yet light silhouette. 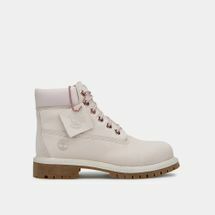 Becoming the go-to boots for trekking and camping by maintaining their functionality even in harsh weathers and off-beaten terrains, Timberland met its new popularity with more casual options. 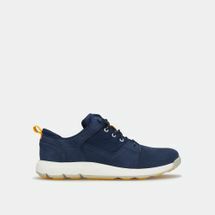 While sticking to their hard and fast rule of durability, they widened their collections further to incorporate Timberland boat shoes into the mix. Timberland’s lucky break into fashion has seen it land on many runways and sidewalks alike. 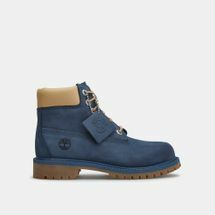 While spurring on more colour options and styles, Timberland has embraced its fashion status quo by lending its classic six-inch buttery silhouette to artist and design house collaborations from Pharrell Williams to Stussy. Becoming more than just a winter or trekking boot, the Timberland tree logo also symbolises their efforts of staying kind to the earth. 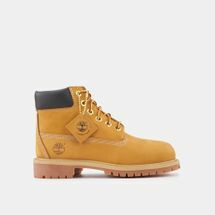 If you’re looking to pick up a pair of these iconic yellow boots, or if you’re looking for Timberland in Dubai, Abu Dhabi or anywhere in the UAE, start shopping online with us today and have your order delivered straight to your doorstep. 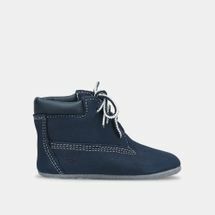 Pick and choose from a wide range of Timberland shoes, and find the perfect apparel to go with them.